The center of the milky way. How much info do you need lol? It is not perfectly in the center. Then I did not ask you but Josh. I hope these coordinates work: RA 17h45m40.04s, Dec −29° 00' 28.1"
Seriously, why didn't you just go search them up yourself? Finding the black holes in the centre of galaxies can be a bit difficult, but you can certainly do it if you go at a good speed. I fly towards the core, and click on the centre star cluster; the black hole is always in a cluster. You'll know it's the core when you click on it, and it says the name of the galaxy. I'll then fly into the centre of it, and when I do this I notice that I'm centred on a certain bright spot that appears like a star. Decrease your speed (I'm not sure what the ideal one is since I don't usually do this, but it tends to be in the AUs I believe, play around and find a good speed!) and get closer until you suddenly see a few stars surrounding what appears to be a blank area; these stars are orbiting the black hole. Decrease your speed more and zoom in until you being to see warpage in the centre of the screen, and there you have it! I'm sorry if my wording was poor in the explanation, but hopefully after a few tries you get it. It's tricky at first, but over time it becomes easier! 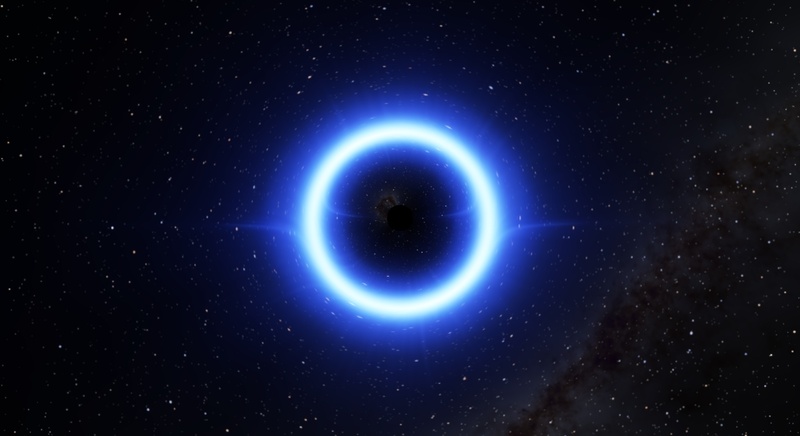 Space engine is a 3D Space simulation software. Maybe somebody don't hear it. So let me introduction it. Space Engine is an Russian software. It has very cool effect. And the planets has more. But I use it later. I discover its optimization is not good but others hands is good. In my views, I think universe sandbox and Space Engine each has its advantages. So you can change it for your PC. Maybe SE is good change. SE is a software in which you explore and randomly generated environment. It has more planets because it doesn't simulate any physics or anything like that, therefore be able to display more objects. US2, on the other hand, is a gravity simulator where you can tear apart the rings of Saturn with Earth, make stars explode, and create solar systems never before possible by the laws of physics. Comparing the two games is like comparing rocks and leaves. I would really appreciate if you stopped asking these questions (or at least put them in Everything Else because this has nothing to do with the development of the Alpha, or anything to do with the Alpha), since there is no such thing as "better". Everybody has their own preferences and their own peeves. Actually Space Engine uses real astronomical data whenever it can. It's only when you go to unobserved areas of the universe that it starts generating. Does anyone else experience low framerate when they approach/explore terrestrial planets? My FPS is around 20 or higher when I fly through interstellar space, approach stars/gas giants and go through nebulae, but when I arrive at Titans, Terras or any other world with a solid surface, my framerate with be a maximum of FOUR. I'm still able to explore, but it's fairly annoying. When I make my window MUCH smaller, the frame rate does go up a significant amount, but then the information of the world literally covers the planet itself, and it's difficult to see anything. Therefore, making the window smaller is essentially useless. I've decreased LOD to -2, compressed textures, read recommendations fro the SE forum, and my PC specs are good enough to run the program. However, I have notice that my CPU is 1.80 GHz, and not the minimum requirement of 2 GHz; everything else is good to go. Could the 0.2 difference be just enough to choke my frame rate? If not, what can I do to solve my problem? It does simulate orbits and you can control a spacecraft that follows the laws of physics, so it is more similar than you suggest. They try to do different things, but are actually a lot like each other. I have a pretty beefy processor and exploration can by a bit laggy too. It used to be worse, but reinstalling the game/simulator/whatever helped. I guess I had changed a setting that hurt performance. I'm hopefully getting a new graphics card soon, preferably one of the recommended ones on the site. I've checked my specs, and my graphics card seems to be the culprit for my framerate issue. So that means I'll have a better frame rate if all goes well.